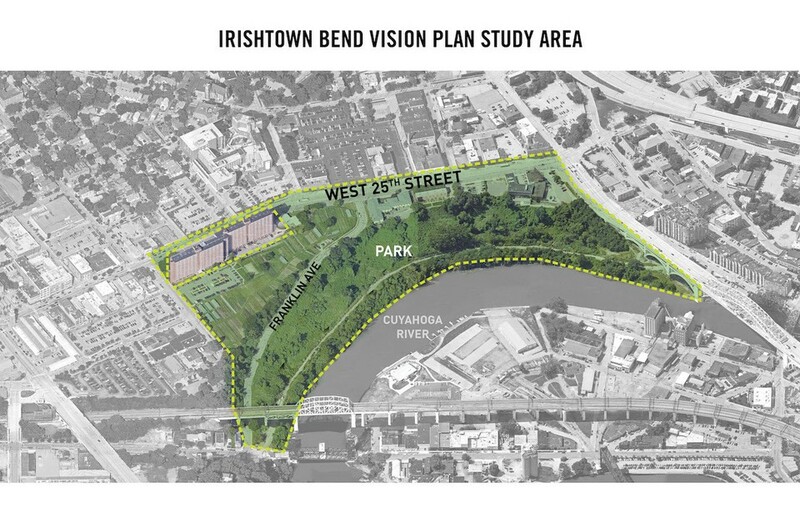 In Cleveland, Ohio, plans to regenerate the marshland known as Irishtown Bend have generated dividing opinions. 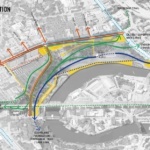 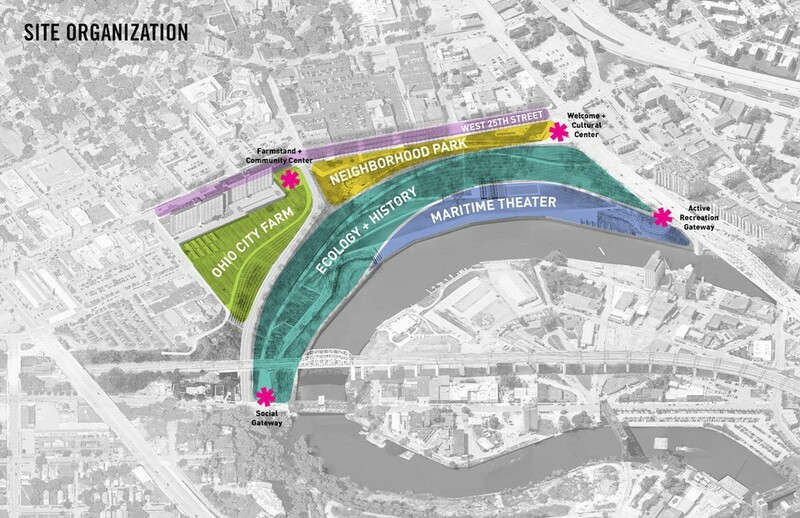 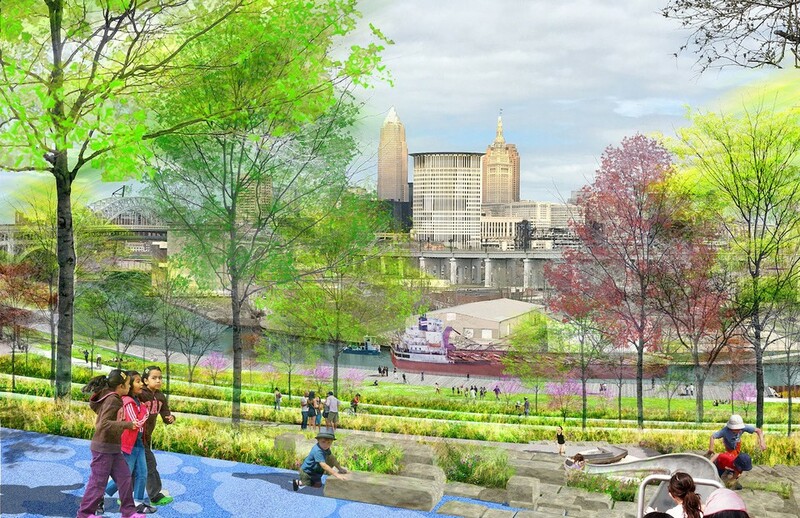 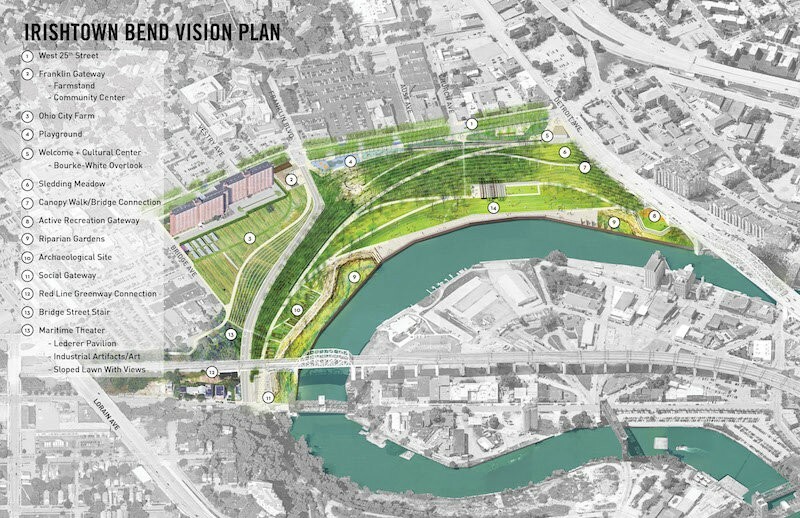 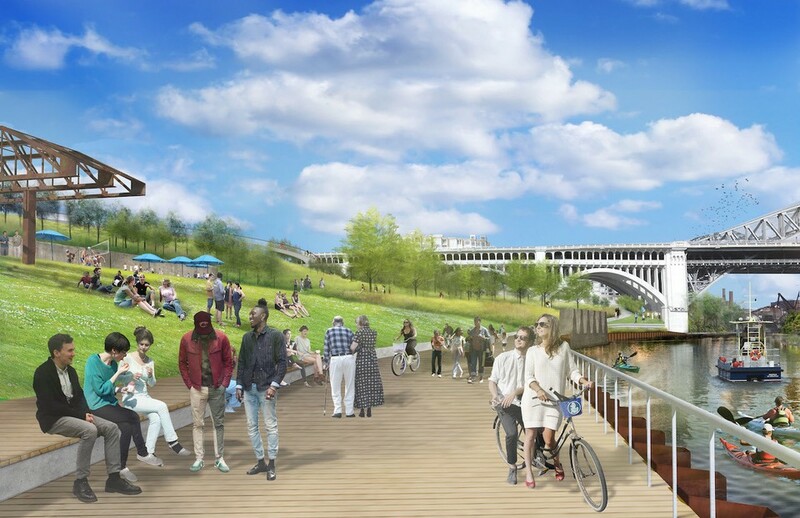 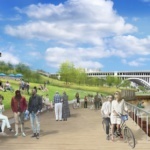 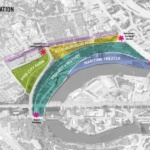 This week, landscape architecture firms LAND studio, a nonprofit from Cleveland and CMG from San Francisco, will unveil a scheme that amalgamates the two visions with the hope of transforming Irishtown Bend into a 17-acre asset to the city. 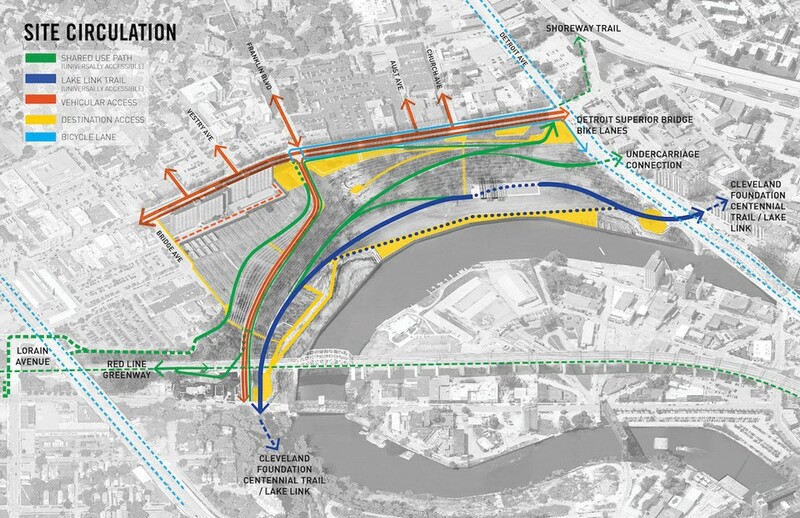 The area lies adjacent to the Cuyahoga River, bridging Ohio City on Cleveland’s west side and the city of Cleveland itself, but is currently undeveloped and only used by a homeless community. 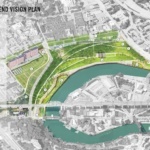 Speaking to local newspaper The Plain Dealer, Scott Cataffa, principal of CMG, said, “the park needs to be a neighborhood and a regional asset” that operates at two levels. 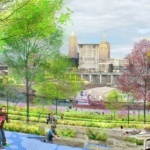 To achieve this, his firm and LAND studio are working with the Port of Cleveland, Ohio City Inc., the City of Cleveland, and engineering firm, Michael Baker International, to incorporate four waterfront areas designated to: a neighborhood park, Ohio City Farm, a history and ecology zone, and the new Maritime Theater—an esplanade area that will include a pavilion and sloped views across the river. 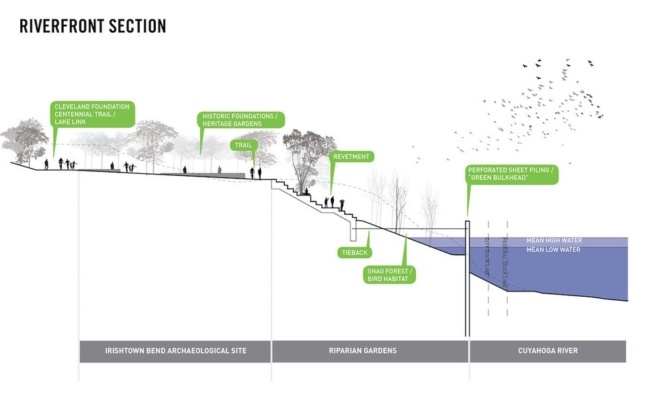 Connecting these areas will be an array of zigzagging paths and a reworked part of Franklin Boulevard that would also offer a playground and walkable trails to courts. 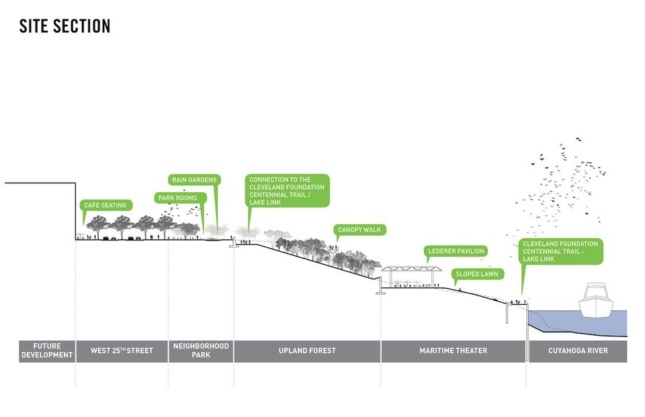 Pedestrianisation is a priority for the design team who also want to make West 25th Street more people friendly, lining it with trees and calling for a new Rapid Bus line too. 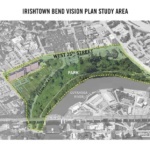 Litt also added that planners have said the homeless community in the area will be informed of any work before it starts and relocated accordingly.